A slightly under-ripe, green banana. They’re loaded with resistant starch, a type of carbohydrate that passes through the small intestine without being digested. That encourages the population of healthy gut bacteria, and makes us feel full for an extended period of time. It also makes us more efficient at burning fat. If you need a flatter stomach fast, try eating certain healthy foods. 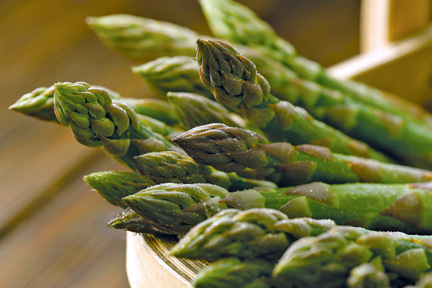 If you need to de-bloat within days for a party, then eat artichokes, asparagus and watercress. Registered dietician Frances Roth says those are proven to flush out your system fast because they contain natural diuretics. Another quick fix is foods high in potassium – like bananas, cooked spinach, sweet potatoes and white beans. They work because we retain water when our sodium and potassium levels are out of whack. But eating more potassium-rich foods maintains the balance and de-puffs our stomach. So eat more of these foods and stay away from tempting empty calorie snacks. Want to protect yourself from stroke? Eat more white produce. Things like garlic, leeks, onions, apples, pears, bananas, cauliflower, and cucumbers. Research found that the people who eat the most white fruits and vegetables – or those with white flesh – have a 52% lower risk of stroke. 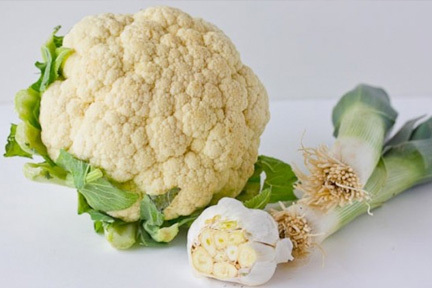 Why white-fleshed fruits and veggies are beneficial isn’t known. One theory is that those foods are high in dietary fiber and antioxidants, which lower blood pressure or cholesterol, and can protect brain blood vessels or prevent clots from forming. But before you OD on the white flesh of a POTATO – they’re not on the list, because they’re considered a starch, not a vegetable. Here’s how to remember your dreams. If you want to remember your dreams, try eating more foods rich in vitamin B6. Things like hummus, tuna and bananas. B6 helps your brain churn out more dreams and remember them more clearly. That’s because it makes your brain more alert while you’re asleep. Just don’t eat too much – or your brain will become so alert that the quality of your sleep will suffer.